Most people have absolutely no idea, but a very dark philosophy is spreading like wildfire among the global elite. This philosophy is an obsessive belief that humanity has become a cancer that is destroying the earth. There are now large numbers of global leaders that are convinced that the exploding population of the world has become like a virus or a plague, and that it must be combated as such. In fact, it would be very difficult to understate just how obsessed many members of the global elite are with population control. The United Nations puts out position papers about it, universities have entire courses dedicated to it, radical population control advocates have been appointed to some of the highest political positions in the world, and some of the wealthiest people on the planet get together just to talk about it. Those who believe in this philosophy are constantly talking about the need for “increased access” to abortion, contraception and other “family planning” services. 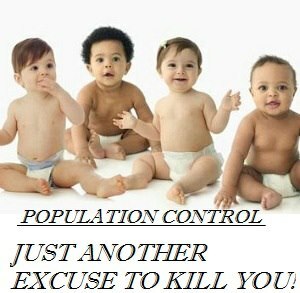 But even with all of their efforts, the population of the world is still expanding and those who believe in this population control philosophy are getting nervous.